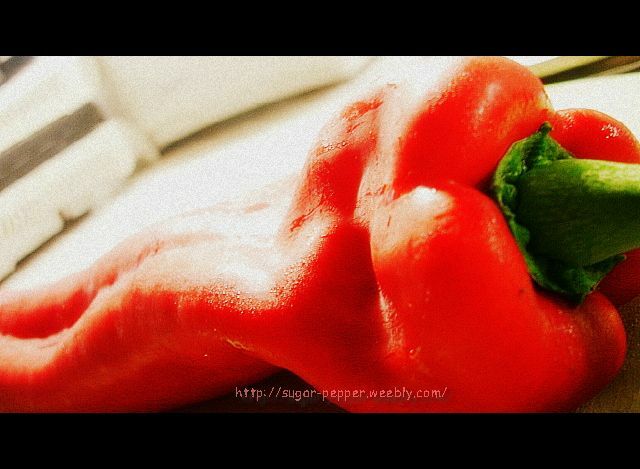 I used pointed peppers (also known as sheppard peppers) in this picture but you can use the more common red bell peppers. Once roasted, they are sweet and smokey. They make an exquisite ingredient for relish, salad, pasta, pizza and many more! Place the pepper halves next to each other. It does not matter which side down. Drizzle olive oil on top of the peppers. Remove from the oven and cover with a foil for another 20 minutes. Remove the covering foil. You could reserve the juice from the pepper for use. 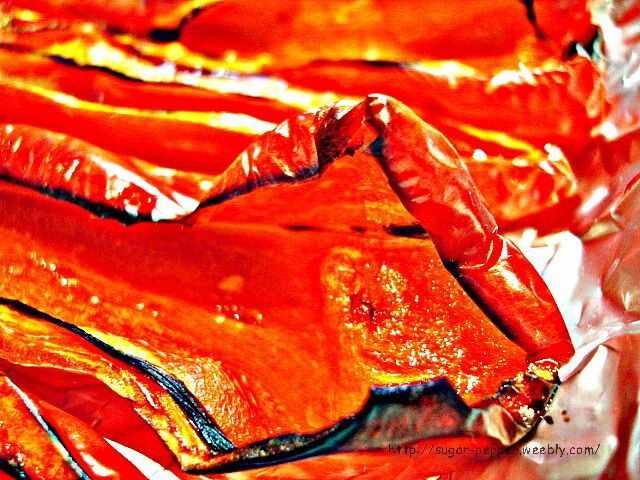 Peel off the skin and these roasted peppers are ready for use or eaten on its own.